Fujifilm a very popular Brand mainly known and famous for its DSLR & Finepix series of Cameras announced – Fujifilm Finepix SL1000 . Fujifilm has already launched many camera models of there Finepix S series like Finepix S8500 , S8400 , S8400w (newly launched ) , s8300 , s8200 , S6800 , s4800 , FUJIFILM FINEPIX HS50EXR and many more . Fujifilm launched lots of no of cameras , specially – Finepix S series . This may confuse you while choosing the perfect camera that you want to buy as there are many options for you . I think year 2013 is for the ZOOM cameras in the market . Well now lets talk about Fuji Sl1000 . Fujifilm Finepix SL1000 comes with BSI – CMOS image sensor of 16MP resolution . Fujifilm SL1000 has 50x optical Zoom which seems to be perfect for wild life photography . 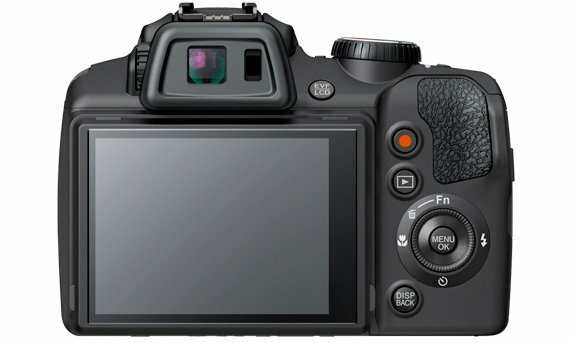 Finepix sl1000 comes with very nice specifications .. lets have in-depth look at its feature , Specifications & price …..
Look and Feel of Fijifilm SL1000 is better and robust then Finepix SL300 / SL 305 . Fuji did many changes and added many new in SL1000 if we compare it to there last FINEPIX SL series . AT the rear of Fujifilm Finepix SL1000 there is Electronic viewfinder with Proximity Sensor for making EVF more approachable and easy to use , also there is dedicated button for movie recording . At the top of the desk there is flash , Hot shoe , mode dialer and shutter button with zoom control . The camera looks like a DSLR camera and has a very nice grip . Finepix Sl1000 does have Side -lever Zoom control . Fujifilm SL1000 has 3.0inch Screen with full resolution of 920k dots & the monitor is Wide angle Tilting LCD , which makes eays for user to make operations from various angles . Fujifilm Finepix SL1000 has BSI – CMOS image sensor of 16MP . 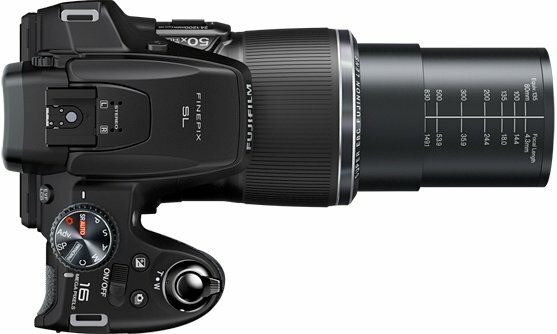 Finepix SL100 has Fujinon 50x optical Zoom lens . FUJIFILM finepix SL1000 does have Image stabilizer that is – Lens shift type . FUJIFILM FINEPIX SL1000 can record 1080p video at 60 fps . There is proximity sensor located just behind the EVF and at rear you do have a dedicated button for video recording , which make SL1000 more approachable . You can capture 3D images from Finepix SL1000 . SL1000 BSI – CMOS image sensor has resolution of 16MP . Finepix SL1000 can record 1080p video at 60 fps , 720p at 30fps , 480p at 120 fps , 320p at 240fps & 240p at 480 fps in H.264 (MOV) format respectively . Image capturing pixel is upto (4:3) 4608 x 3456 and the format is jpeg and raw (raf) . EVF is of 0.2 inch and ras resolution of 960k dots and 3inch LCD monitor has resolution of 960k dots . Fujifilm Finepix SL1000 comes with very impressive specs , features & price too . Fuji Finepix SL1000 has 16 Mp of image sensor . The camera can record video upto 1080p at 60fps . The camera has 3inch screen & 0.2 inch EVF both having resolution of 960k dots . The image stabilizer used in the camera is – lens shift . The lens used in Fujifilm SL1000 is Fujinon 50x optical zoom having focal lenght of f=4.3mm – 215.0mm which is equivalent to 24 – 1200mm on a 35mm , aperture of F2.9 – F6.5 which is decent at this price . FUJIFILM FINEPIX SL100 has normal focus distance of 40cm to infinity & in super macro 1cm to 1m . Finepix SL1000 has two terminals – USB 2.0 & HDMI mini connector . Fujifilm Finepix SL1000 is powered with Li-ion rechargeable battery . Finepix SL1000 has side-lever Zoom control & at top there is hot shoe and flash . FUJIFILM FINEPIX SL1000 has fast startup time of 0.9 secs and has high speed autofocus time of 0.2sec . Finepix SL1000 can record high speed videos at 480fps . Fujifilm finepix SL1000 has stereo mic for audio recording . Fujifilm Finepix SL1000 price is $399 and in India is RS 22,000 . Camera has very nice specs & features , so if we look at the Price of Finepix SL1000 then its a budget Zoom camera . Fujifilm Finepix HS50exr comes with 16Mp of image sensor and can record video at 1080p resolution . Fujifilm HS50exr has IN-BUILT microphone which is great for video recording . HS50exr has nice specs than Fujifilm Finepix SL1000 , but HS50exr has more price than sl100 . Finepix HS50exr Review . Nikon Coolpix P520 has 18.1 Mp image sensor . Nikon coolpix p520 has 42x optical Zoom & inbuilt GPS . Coolpix P520 can record video upto 1080p resolution . Overall the Nikon Coolpix P520 is also better then Fujifilm Finepix SL1000 but Fujifilm Finepix Sl100 has 50x optical zoom which is more than both HS50exr & p520 . To know more you can check our Nikon coolpix P520 review . 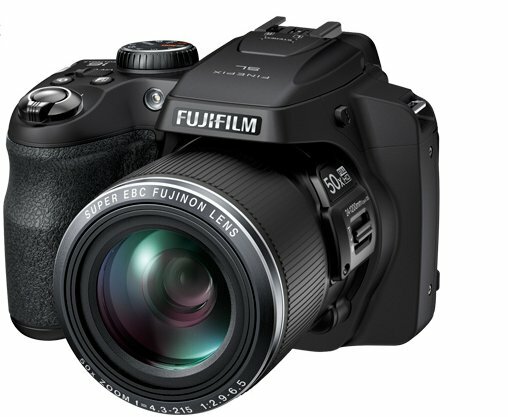 Fujifilm Finepix S8400w has image sensor of 16MP . It comes with 44x optical zoom . Fujifilm Finepix s8400w Review . Fujifilm Finepix SL1000 has very nice specs and it comes at budget price . 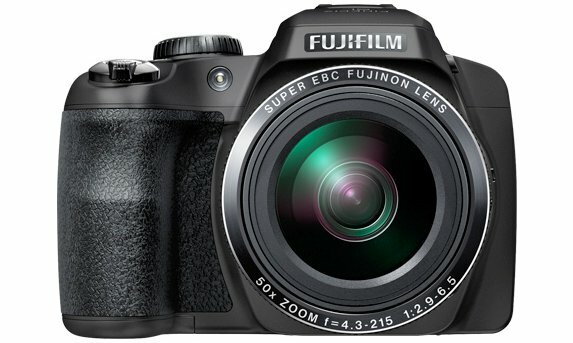 Fujifilm Finepix SL1000 would be a great Zoom camera to buy at this price . Fujifilm Finepix SL1000 has image sensor of 16MP . Fujifilm Finepix SL1000 has fast startup and autofocus time .